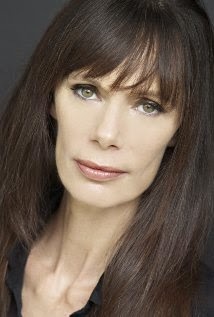 With the The Hunger Games: Mockingjay – Part 1 opening in theaters this weekend, we're giving at a shout out to Patel Conservatory theater instructor Eugenie Bondurant who will appear in the next installment of the blockbuster series. The last book of the Hunger Games series was split into two films, and Bondurant appears in the second of the two, The Hunger Games: Mockingjay – Part 2. She plays Tigris, who, in the book, is the capital citizen with the surgically altered features of a tiger, who offers heroine Katniss Everdreen and her rebel crew a place to hide out in the war-torn capitol city. We're dying to see Bondurant's make-up for the role! The Patel Conservatory celebrates our 10th anniversary next month, and Bondurant has been with us since the beginning. She taught one of our first classes at the Straz Center, before the Conservatory was built back in 2004. She continues to teach her on-camera acting programs here, which she developed while living and working in Los Angeles. She has appeared in films and television shows ranging from Fight Club to Star Trek: The Next Generation. In her newest film she worked alongside a star-studded cast including Jennifer Lawrence, Josh Hutcherson, Liam Hemsworth, Woody Harrelson, and the late Philip Seymour Hoffman. The Hunger Games: Mockingjay – Part 2 is slated for release in 2015. In the meantime, students of all ages have the opportunity to work with Bondurant through our Meisner and On-Camera Acting classes at the Conservatory. The On-Camera Acting class, for 10th graders through adults, helps students feel comfortable on camera and bring their own unique personalities to every performance. The class includes both technique and practical experience in front of the camera. Space is still available in Bondurant’s spring on-camera class at the Conservatory. For more information, or to register, click here, or call 813.222.1002. The Patel Conservatory at the Straz Center in downtown Tampa offers more than 100 classes in dance, music and theater, from beginner through pre-professional. For more information, visit patelconservatory.org or call 813.222.1002.